When a new restaurant opens in quiet Sanur, there’s always a buzz as this sleepy part of Bali is filled with restaurants yet very few are worth going to. 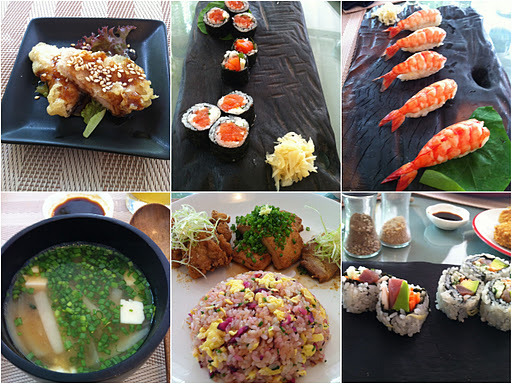 Minami in Ubud is where people go for refined Japanese cuisine. I had never had a chance to visit the Ubud outpost so when I heard that a tiny branch had opened at the newly-renovated Segara village hotel in Sanur, I knew I had to try it. 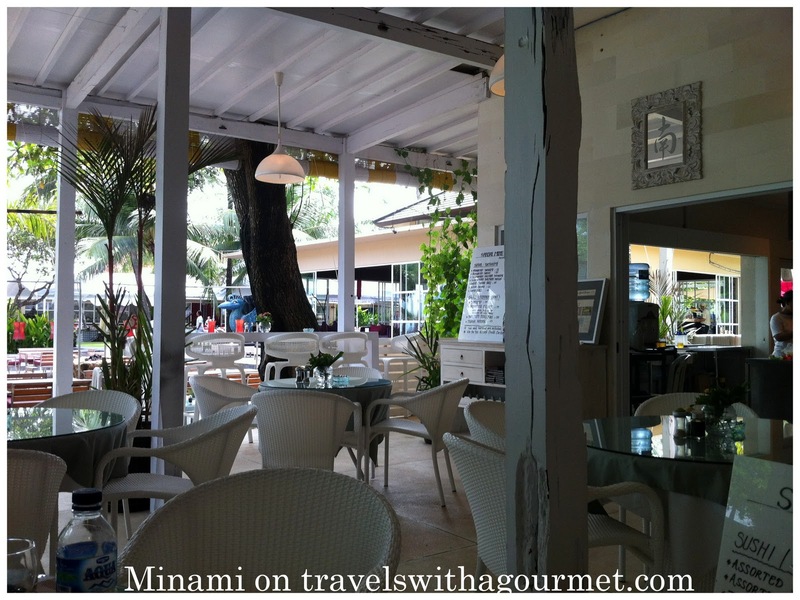 Minami is an all-white open-air restaurant right on Sanur beach just by the souvenir market. The menu is limited and not traditionally Japanese but the options are quite creative. We started off with a few sushi rolls – ebi (prawn) sushi, salmon roll and California roll. I chose the set lunch which gave me a choice of three items from the selection of Japanese tapas. I had the fried tofu, tori karaage (fried chicken) and stewed pork belly which came with fried rice and miso soup. My son had the prawn tempura which was hot and crispy and came with the more Japanese-style salt dip instead of the usual tempura sauce. The food was good and well-presented but the service was dismal. We were the only ones there when we arrived around 12:30 and later, two more groups arrived but for some reason, the food came out from the kitchen in spurts and in a haphazard order. We got the set lunch first, then one sushi roll followed by another and finally the tempura which was almost an hour later then our first course. Minami has quite a way to go to improve their service before I’ll go back there for another meal.